Shortly after the devastating earthquake in Nepal last month, Facebook activated its Safety Check feature, which is intended to let people in disaster-affected areas alert their friends and family that they're out of harm's way. Facebook also turned the feature on this week after another strong quake shook the country. However, various media outlets reported Wednesday that people who aren't anywhere near Nepal are using Safety Check to mark themselves "safe." And social media users are not pleased that people are misusing the tool. The tool is supposed to be localized. If you're in an area affected by a natural disaster, Facebook sends you an alert asking you if you're safe. The tool determines where you are, based on where you're using the Internet and the city where you live or the last location where you were tagged. But since you can also visit the Safety Check page directly, people who live halfway around the world can use the tool, too. A representative for Facebook was not immediately available to comment. I find it totally sick that people are marking themselves 'safe' from the earthquake in Nepal. People are dead, it's not something to mock. More than 8,000 people died in the magnitude-7.8 earthquake in Nepal last month, and dozens were killed in the magnitude-7.3 quake Tuesday. Facebook launched Safety Check last October. Inspiration for the tool came from the 2011 earthquake and tsunami in Japan, Mark Zuckerberg said in a statement announcing the feature. 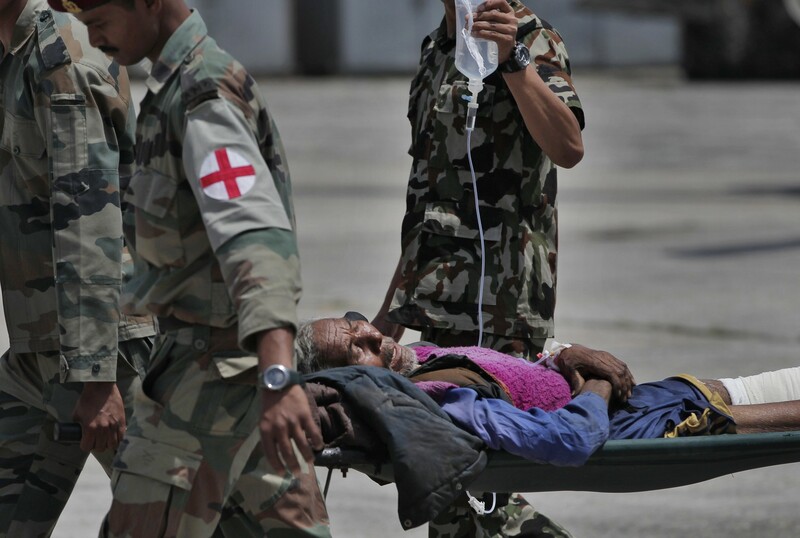 A Nepalese man injured in Tuesday's earthquake brought from Charikot, Dolakha District, is carried on a stretcher at the Tribhuvan International Airport in Kathmandu, Nepal, Wednesday, May 13, 2015. Thousands of fear-stricken people spent the night out in the open as a new earthquake killed dozens of people and spread more misery in Nepal, which is still struggling to recover from a devastating quake nearly three weeks ago. Rescue workers stand beside a building that collapsed in an earthquake in Kathmandu, Nepal, May 12, 2015.